THANK YOU TO ALL WHO DONATED OR SUPPORTED UNITED WAY THIS YEAR! This school year, the number of students and families that struggle with health, housing and financial stability is rising, according to LEUSD’s SAFER team.There is something we can do to meet the need...now through Oct. 31 marks LEUSD's United Way Campaign. Through United Way, your silent payroll gift speaks volumes to those who are being helped every day. For example, did you know Operation School Bell* provides new clothes to approximately 750 LEUSD students each year? United Way helps support this program and many others that benefit students and families across the Inland Valleys. United Way’s online giving is easy using either the Mobile Pledge Form or visiting their website. 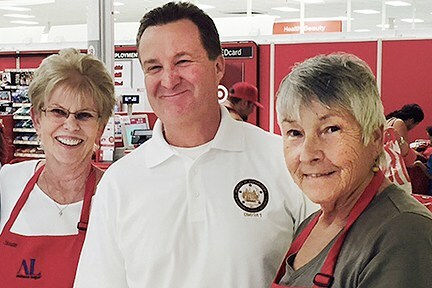 In a few simple steps, your voluntary United Way payroll deduction grows a powerhouse of support for trusted organizations like the Assistance League of Temecula Valley and programs under United Way. Thanks to your support, United Way Inland Valley boosts health, education, and foster youth programs serving our community. Your annual United Way charitable donation is tax deductible. If you have any questions, please feel free to contact Mark Dennis, Community & Media Relations at (951) 253-7174. Thank you! LEUSD employees gave $29,866 in 2016. We sponsor a 'grow your giving' campaign each fall. If INCREASING the amount of an EXISTING PLEDGE, input the DIFFERENCE between your existing pledge and the new amount (e.g., Jane has an existing $10 pledge and wants to increase it to $15 per month, so she will only input the DIFFERENCE of $5 on her Mobile Pledge Form. United Way will notify LEUSD’s payroll of the final monthly deduction amount).